Route description: The first part follows the nice little road serving the farm Vetti. This road crosses the river several times as it winds its way up the very impressive Utladalen canyon. After 4 km you arrive at Vetti. Just above the uppermost buildings there is a fork in the trail. 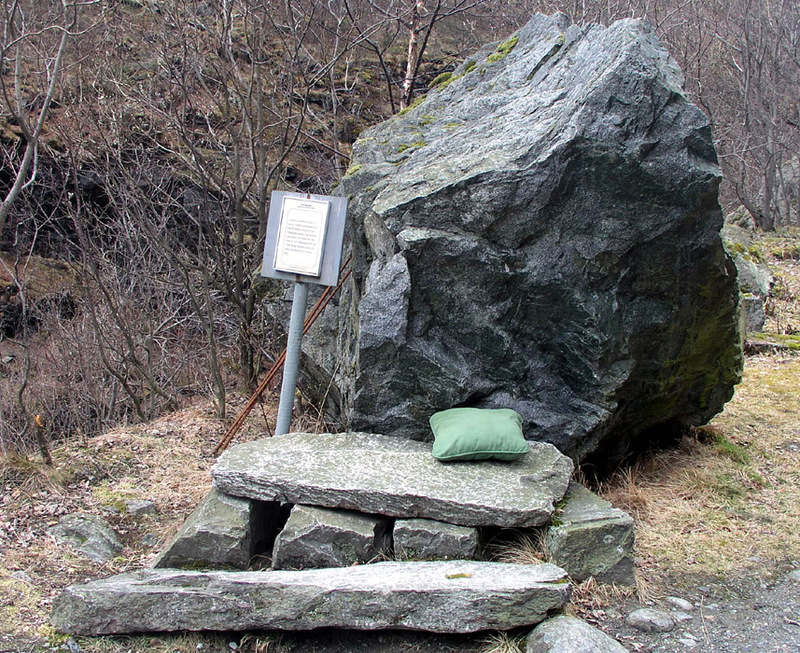 The trail that continues up the valley, first goes to the base of the famous Vettisfossen waterfall. Another trail forks right through a small gate in the fence and climbs directly up and out of the canyon. This is your trail. This location is north 61:22.507, east 007:55.694 with an elevation of 350 meter. Continue up the steep trail to the rim of the canyon. This may be tricky early in winter, but should pose no problem from mid March, however crampons may be needed if the path is icy. As soon as you reach the rim, continue along the trail that runs north to the Vettismorki farm cabins. The trail forks, the left branch is perhaps the best one in order to get to Ingjerdbu. 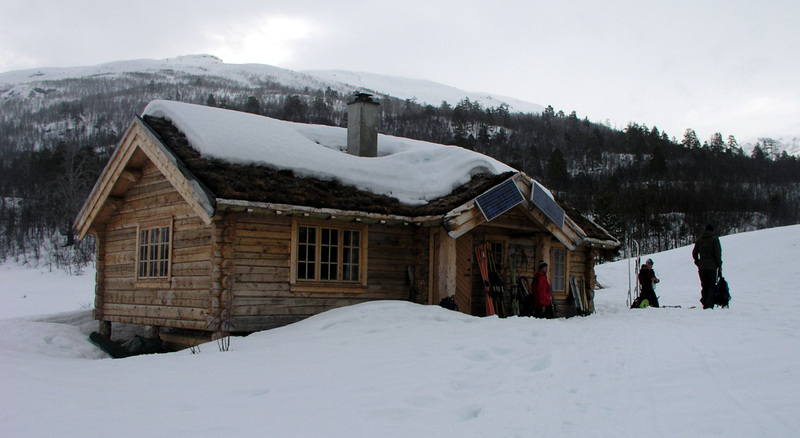 Ingjerdbu is a self serve DNT mountain hut. It is locked with the standard lock and the 2005 charge was 180 NOK per night for members of DNT. From Ingjerdbu (possibly the next day) continue uphill sort of into the valley Morka-Koldedalen that separates the Stølsnosi ridge from the west ridge of Hjelledalstinden (1989m), the route crosses the creek Storebekken and gradually gains the broad ridge coming down from Stølsnosi. Make certain that you climb the ridge south of Storebekkdalen, Raudnibba (1553m) is north of this valley. 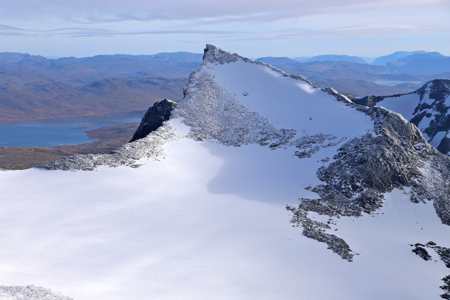 This ridge climbs fairly gently all the way to the Stølsnosi summit. The Stølsnosi summit ridge extends further to the north-east. The drop on your right hand side is significant, stay clear and ski along the summit ridge. We did this ascent in dense fog and located a new cornice blocking the way at the north end of the summit ridge. With visibility, this may turn out to be rather minor. 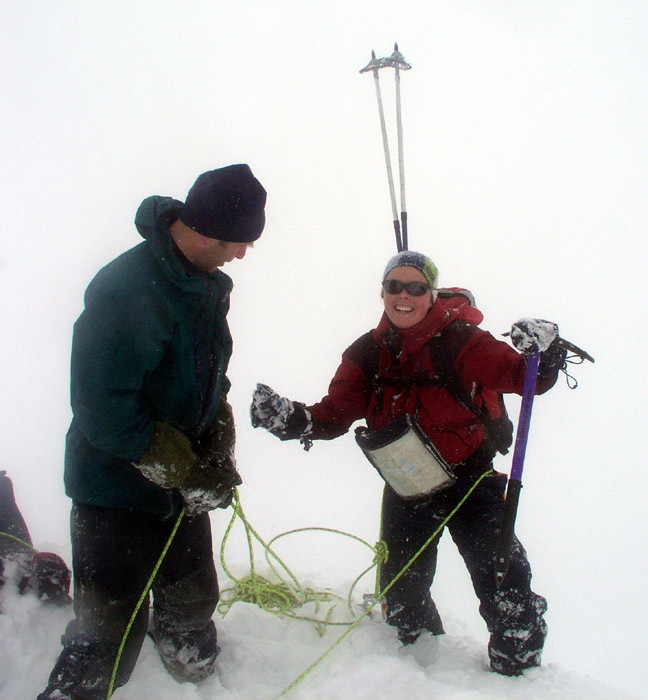 In any case, a safe route proceeds to descend slightly to the north-west, then ski right and locate a small, but very distinct saddle between the main Stølsnosi summit ridge and a rock point located at the far north-east end of the summit ridge. From this saddle, there was no further cornice and one could proceed to ski down the easy slope in a south-east direction. You are now on the Stølsnosbreen glacier. Descend to about 1750 meter, then ski east and later south-east as you gradually climb back above 1900 meter and approach Falketind. 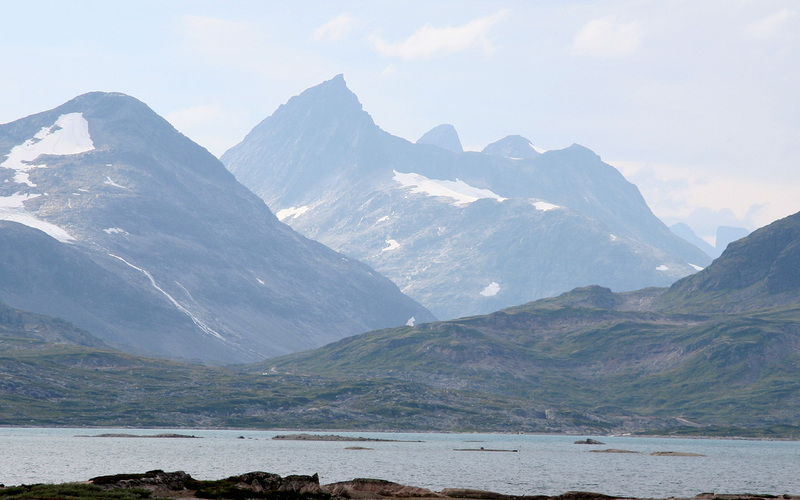 This route passes just south of the slightly higher Stølsnostind (2074m). Ascend the easy slope on the glacier to the base of the north ridge, elevation about 1920 meter. Follow the ridge towards the summit. 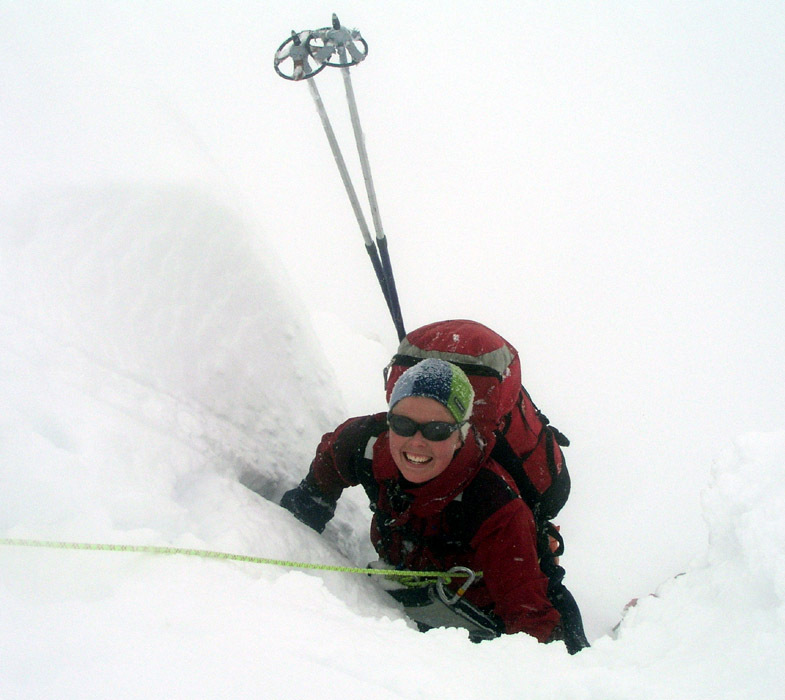 Beware that the drop on your left is substantial, there may be dangerous cornices. This slope could avalanche, carefully consider the snow conditions before proceeding. The slope gets steeper as you climb and the last 10-15 meter are very steep indeed. We climbed straight up a pretty steep final pitch, however, it may be possible to traverse a bit further right under the last steep cliffs and gain the west ridge. Due to dense fog, we did not explore this option. Comments: I did this climb with the Bergen Mountaineering Club (DNT Fjellsport - Bergen). We left Bergen shortly after 1600 on Friday, started hiking from the trailhead at 2030 and arrived at the self serve hut Ingjerdbu at 2300. The next morning, we started out at 0800, made the Stølsnosi summit around 1230 and Falketind closer to 1430. Dense fog and cornices delayed us considerably when making the route from Stølsnosi across to Falketind. We were back at Ingjerdbu at 1800. Falketind. On August 5, 2006. A place for rest. Along the road to the Vetti farm. 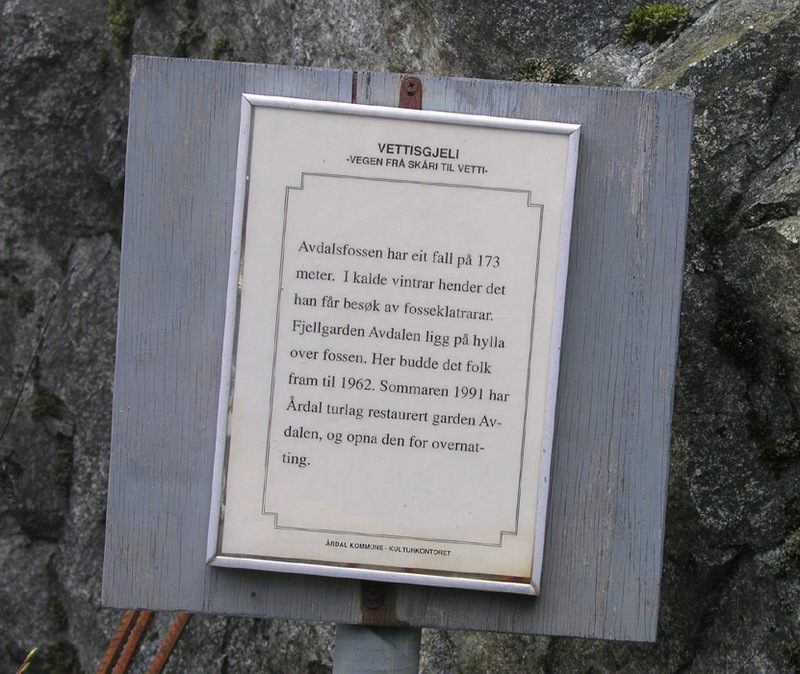 Information sign. Along the road to the Vetti farm. Ingjerdbu, a nice DNT self serve hut. Finally here ! On the summit of Falketind. 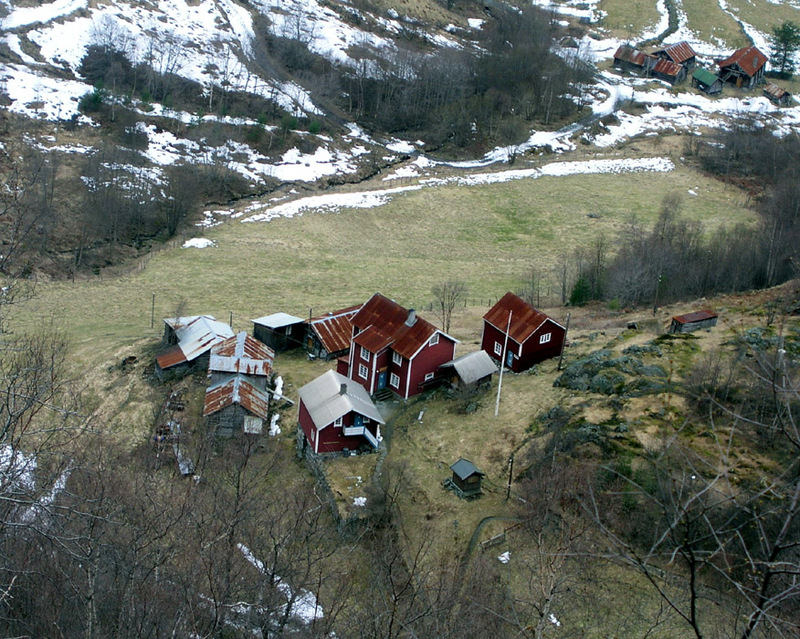 The Vetti farm, as seen when descending from Vettismorki.